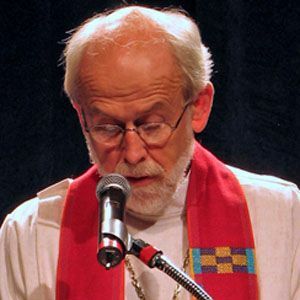 The 11th President of the Lutheran World Federation and the Presiding Bishop of the Evangelical Lutheran Church in America. He was a Merrill Fellow at Harvard University Divinity School. He published the book, Faithful Yet Changing; the Church in Challenging Times, and Faithful and Courageous; Christians in Unsettling Times in 2002. His father was also a pastor at the Evangelical Lutheran Church. He publicly mourned the death of Pope John Paul II in 2005.